The Folkstore Artist Spotlight (FAS) is a special showcase of work from a local artist or group of related artists. These exhibits highlight the local living traditions of the North Country through locally-made products which are on view and for sale in The TAUNY Center. The Folkstore Artist Spotlight Series also allows TAUNY to present a greater range of work by these local producers. Using techniques of paint layering, wood burning, piercing, carving, and crystal inlay, Adirondack woodturner David Buchholz has developed a distinctive style that is fresh and contemporary while still drawing on traditional woodworking techniques. David began working with wood in high school, when his grandfather gave him a wood lathe. But it wasn’t until decades later that he took up wood turning again and joined the Chicago Wood Turning Club. He improved his skills by taking classes with several well known artisans. After retiring, David moved to a cabin on a small lake in the Adirondacks where his family had spent their summers for over thirty years. 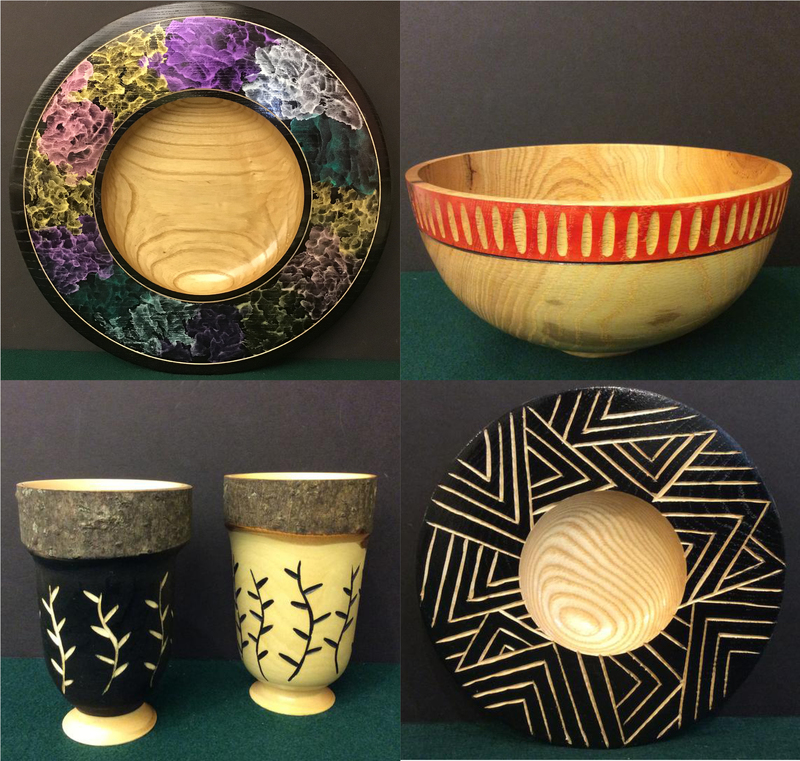 Guests at the opening reception will have the chance to meet the artist and see a variety of his wooden bowls, platters, and other objects. The exhibit will be on view at The TAUNY Center April 6-27, 2019. All of the work on display will also be for sale.